In my last post, I tackled a couple of "Why do youuse . . .?” questions. In this post, I'll answer a couple of "Why don'tyou use . . .?" questions. Being a company known for environmentalism, weoften get questions about why we don't use certain fabrics, especially whenother companies tout them as being the latest and greatest, or at least the‘greenest.’ In the cases of bamboo and PLA (polylactic acid), both sound pretty green atfirst glance but in the end aren't all that they seem. Clothing made from bamboo is becoming increasinglypopular. Because bamboo is abundant and natural, making clothing out of itseems like it should be a slam dunk for Patagonia. So why we don’t use bamboofibers in our clothing line? At the outset bamboo does seem the perfect plant to useas a fiber: it is the world’s fastest growing woody plant (conservative estimates cite growth of over 2 feet per day), it generally does not require fertilizers orirrigation, and it can easily be grown organically. So far so good, so what’sthe deal? Patagonia began researching bamboo fabrics back in 2003and what we found was that although bamboo as a plant is pretty benign, makingit into fabric is anything but. It turns out that most bamboo fabric isactually a rayon-like fabric made using a “viscose rayon process” where bamboois pulped, dissolved with a solvent, spun into strands, and then woven intofabric. Because this process turns cellulose from any plant into a “regeneratedcellulose fiber”—what’s commonly known as rayon—there is no chemical differencebetween rayon fabrics made from different fibers. Unfortunately, the solventused in this process (carbon disulfide) is not only toxic, factories typicallyrecover only about 50% of it. The other half goes straight into theenvironment. 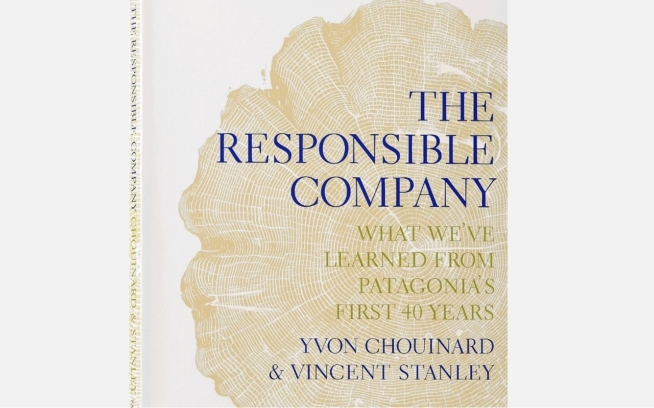 This was unacceptable to Patagonia so we searched and foundTencel®, a fiber that ismore environmentally benign, similar in aesthetics to rayon, and has uniqueperformance attributes. Tencel® is the brand name of the fiber known as lyocell,a rayon-like fabric made from the fibers of the eucalyptus tree. Much likebamboo rayon, the trees are pulped, processed and spun into a fiber. Thedifference though is that Tencel® uses a non-toxic solvent in a closed-loopsystem where none of the solvent ends up in the wastewater. Tencel® shares thesoft drape and feel of bamboo rayon without the environmental problems ofcarbon disulfide. The eucalyptus treesused are grown and harvested as a crop and are certified sustainable by theForest Stewardship Council. You might be wondering why we don’t just use the Tencel®process with bamboo. The answer is that we could, but bamboo produces morewaste with no additional benefits and since the eucalyptus trees work so well,we have decided stick with them as the source material. I should also add that not all bamboo fabric is reallyrayon in disguise. Bamboo does contain bast fibers that can be woven into a naturalfiber similar to hemp. As with the eucalyptus, this material and processdoesn’t have any real advantages over fabrics made from hemp, so we haveelected to continue using hemp. Why don’t you use PLA? PLA or polylactic acid is another fiberthat has gotten some press of late that Patagonia has chosen not to use. PLA isa corn-based fiber that can be made into fabrics similar to polyester. Again,like bamboo, PLA sounds good on paper: it is made from a renewable resourcegrown right here in the USA, it makes really nice fabrics and it can becompostable as well. But again there are problems. First off, it’s made fromcorn and much of the corn currently available for this application isgenetically engineered and because we as a company are against the use ofgenetically engineered crops we can hardly use it for clothing. Using corn alsoputs us at the mercy of corn as a commodity; its wild price swings in the pasttwo years as a result of the rush to develop ethanol technology are an exampleof something we’d just as soon steer clear of. Lastly, while PLA is technicallybiodegradable, it’s not yet available in a form that will disintegrate in thatcompost pile in your backyard; currently, it is compostable only on anindustrial scale. So while we haven’t exactly closed the book on PLA, we’veopted for now to stick with recycled polyester. There is as yet no shortage ofplastic bottles and the fabrics that can be woven from recycled bottles arerecyclable as well, meaning your recycled polyester fleece can be recycled whenit’s worn out or no longer fits. The net result isthat recycled polyester requires less energy and resources than many othertextiles, including PLA.